We have some shower activity moving out of North and Central Alabama and into the west and northwestern parts of Georgia, with a few light showers and drizzle behind those over the east-central parts of the area. There are a few breaks in the cloud cover over North and Central Alabama allowing for some rays to reach the surface, but skies are mostly cloudy for the most part. 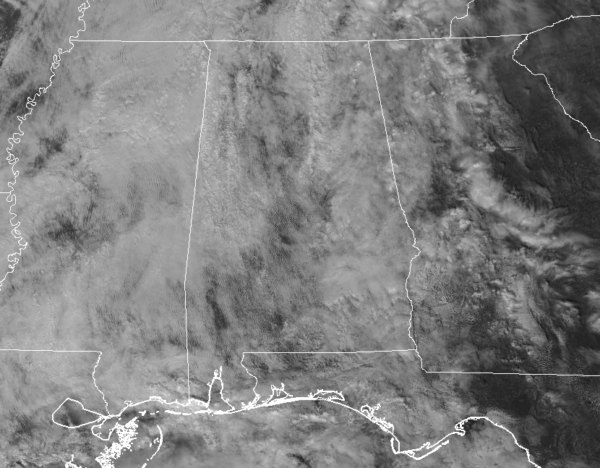 Temperatures as of 12:20 pm are in the upper 50s to the mid-60s across Central Alabama, with Birmingham sitting at 61 degrees. The warm spot is Eufaula at 66 degrees while the cool spot is Gadsden at 57 degrees. 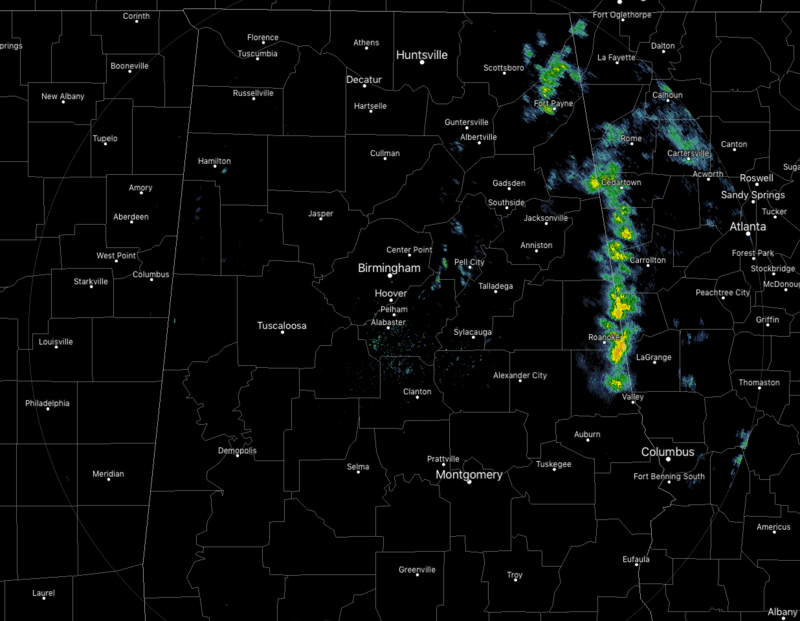 We’ll continue to have mostly cloudy skies across Central Alabama with a few passing showers moving across. The latest high-resolution models continue to show scattered showers forming and moving across mainly the northern half of the area (north of a line from Aliceville to Alabaster to Wedowee), but the potential is there for a few to move across the southern portions of the area. Afternoon highs will top out in the mid-60s to the lower 70s. The potential for passing scattered showers continue for the late night and through the overnight hours with lows dropping into the mid-50s to the lower 60s. Nearly a “wash and repeat” forecast as we’ll continue to have mainly cloudy skies with a very small chance of a few isolated to scattered light showers or sprinkles throughout the entire day. Afternoon highs will be in the lower to mid-70s across the area. A nice day to sit outside and get some warm fresh air while recovering from the flu when there are no raindrops falling. Rain chances decrease somewhat for Tuesday night and through the overnight hours, but a very small chance of an isolated shower or two remains possible. Lows will be in the lower to mid-60s. 2004 – 7.15 inches of rain deluges Pinson, AL, setting an all-time record rainfall over 24 hours for the town.